Hopefully continuing my winning run of 5/6 from last weeks Irish provinces, up over €800 for the season. I've got the Leinster preview up now. 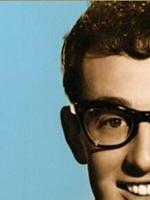 Woo-ee-oo, I look just like Buddy Holly. / Oh-oh, and you're Mary Tyler Moore. / I don't care what they say about us anyway.